One of my favorite things to do is decorate. I absolutely love it! I could spend hours moving items and putting everything together! This is probably one of the reasons why I made everything for my wedding and started my blog! Today, I want to share a little part of my bedroom with you! I love decorating for Christmas! This year, now that I am married, I wanted to show you how I like to spruce up my bedroom for Christmas! I got many of these smaller pillows at Target this year! The smaller ones are from the dollar section at Target! The red/green make it a little more festive! My nightstand has HotSkwash pumpkins on them! I have a lot of these! They are so addicting! 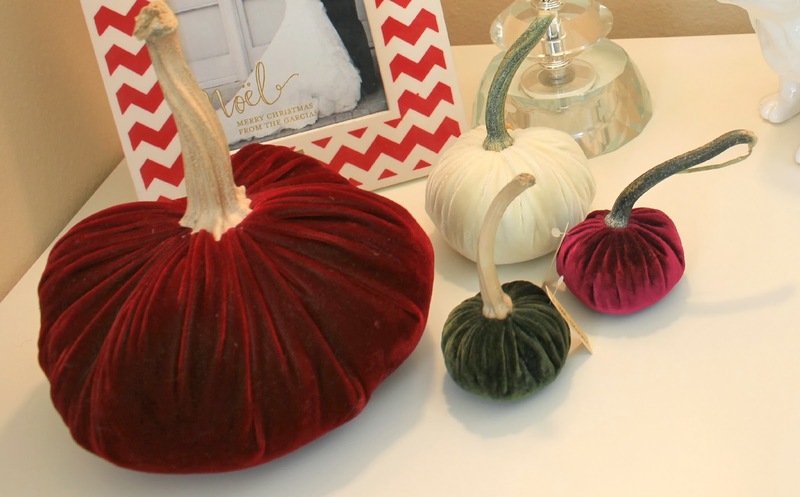 Each pumpkin is hand made using real pumpkin stems! They come in so many fun colors! 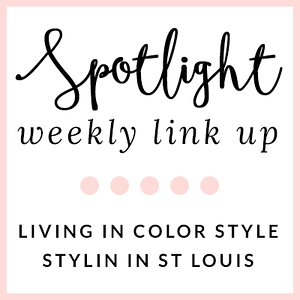 Be on the lookout for more decor posts! 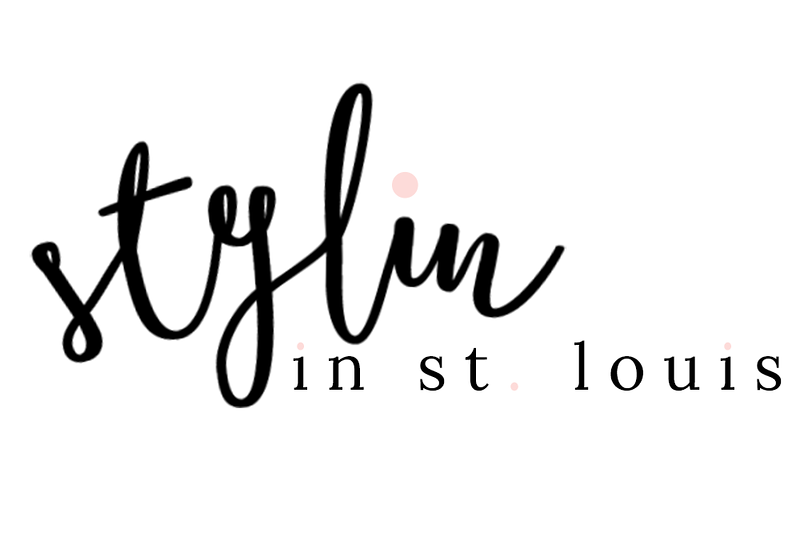 I am working on starting a Stylin In St. Louis at home section part of this blog! I love this! I can't wait to see more. Where did you get your head board? My head board is from Ashley Furniture! 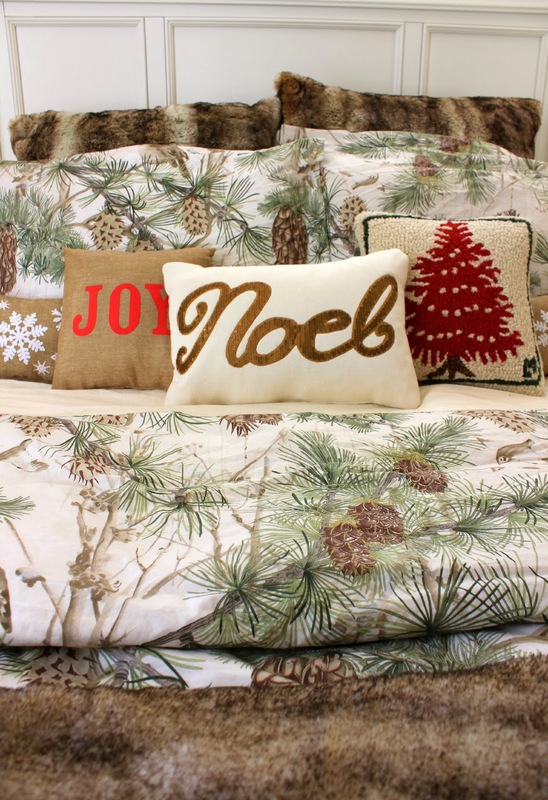 Love your bedroom Christmas décor, it's fabulous! Beautiful, warm and inviting decor Jacq!! So very festive and pretty!! Oh my gosh your home is beautiful!! Can you come be my interior decorator!? haha. And a fur blanket is on my wishlist! They always look so amazing. Thanks Darcy! You are too sweet! Love a great fur blanket! My dog constantly wants to be on it! Looks great!! I love the pillows. 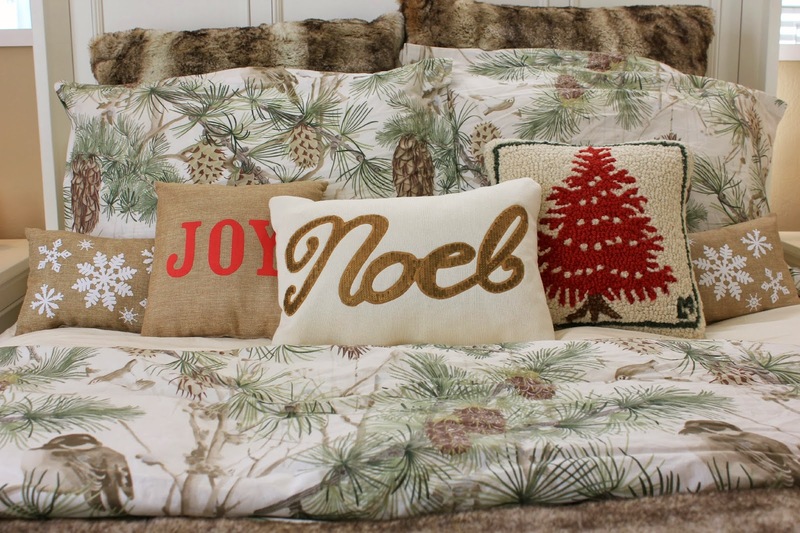 Your bedroom is so festive! I barely got a tree up this year! Thanks Nikki! I get way too involved every season! It look so good! Very ready for the holiday and super cozy! 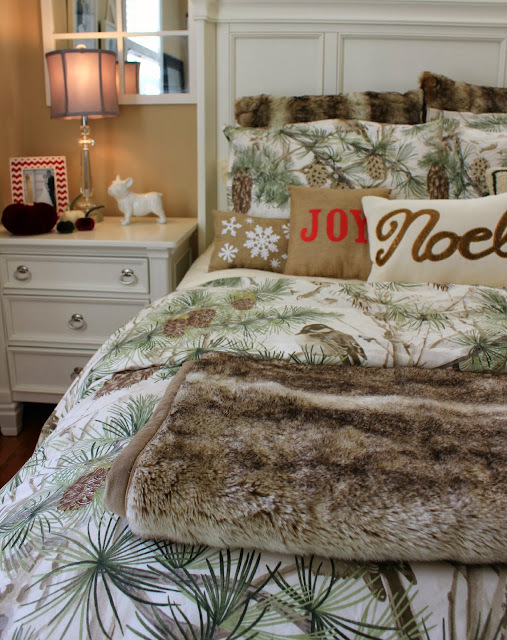 Oh my gosh I am in love with your bedding! It is so perfect for winter! Those pumpkins and pillow... need! Now I want a Christmasy bedroom! Thanks Brett! I got the snowflake pillow in the dollar section at Target! I love the way you decorated this room, the Christmas pillows are adorable!